School holidays almost over and the August bank holiday behind us, we're back on the road after a break of about a month and a half, during which time we squeezed in a cruise to Norway and not much else. We chose the Kendal Caravan & Motorhome Club site because it had plenty of available pitches on late availability and is easy to get to. We like this site because a lot of the pitches are separated by trees and bushes, so it seems quite quiet even if it isn't. Dream pitch no. 21 was taken, so we settled for one near it. In the afternoon we walked to the nearby Strickland Arms and had a couple of drinks in its beer garden, which was nice and sunny. Then a barbecue back at site, which we just about finished before the temperature plummeted! The wine helped, but it wasn't long before we had to retreat inside. Autumn is here. 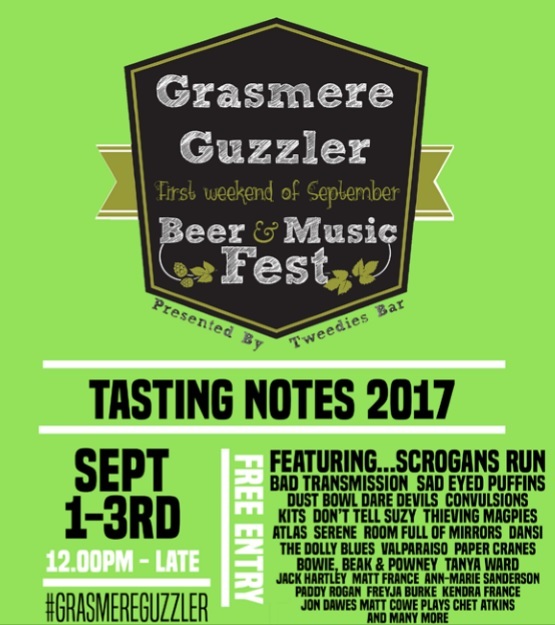 Another trip, another beer festival, this time the Grasmere Guzzler beer and music festival. We thought we'd get a bit of exercise first, so we got a bus to Rydal and walked the rest of the way, taking in Rydal cave on the way. The beer festival was good, with lots of beers and entertainment, and an appearance by Tim Farron who is the local MP. We might try and come again next year. It got busier as the day progressed, and we left at 5.30, stopping off at Staveley on the way back for beer tapas in the Hawkshead Brewery beer hall. 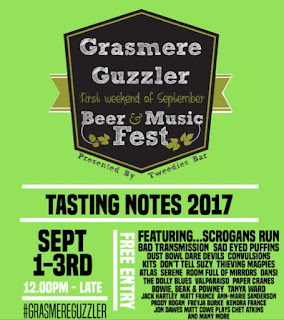 We think the Hawkshead Brewery beer festivals are better...bigger building, more seating and better (and more) toilets (quite important for a beer festival, D thinks)! Then we realised there were no buses beyond Kendal after about 7pm, so we had to get a taxi back to the site. Public transport in Cumbria is rubbish! £22 for the bus tickets and about £15 for the taxi. We eventually got back to the caravan about 8.30. A three night trip to one of our favorite sites...Ravenglass C&CC site.